FOLK fans are in for a treat later this month as BBC Radio 2 Folk Award 2018 nominees O’Hooley & Tidow make an appearance at the Shelley Theatre on Saturday, March 24. Nominated for Best Duo, the northern folk duo have released a string of innovative albums and remain at the forefront of the contemporary folk music scene. Their latest album WinterFolk was released late last year and featured several original compositions or arrangements by the duo as well as versions of Fairytale of New York, Stille Nacht and Richard Thompson’s We Sing Hallelujah. 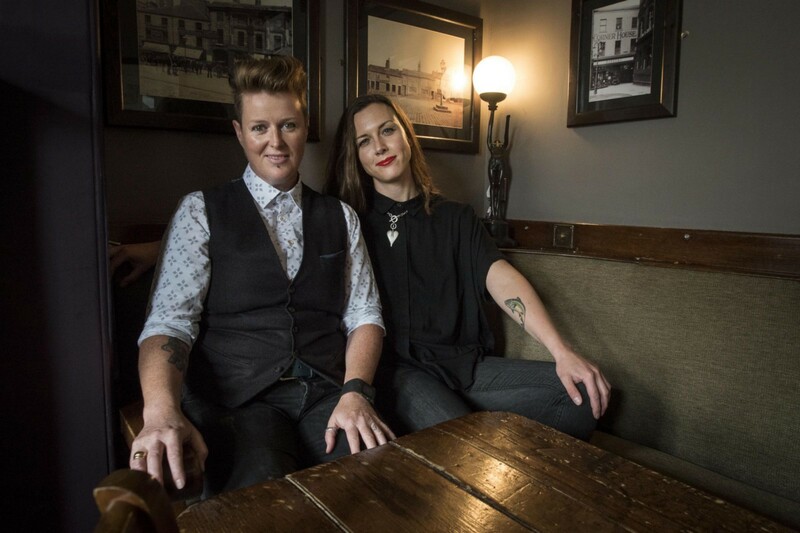 Singer-songwriter Heidi Tidow performs and records with her wife, singer-songwriter and pianist Belinda O’Hooley, who was formerly a member of Rachel Unthank and the Winterset (now The Unthanks). No stranger to award nominations, O’Hooley & Tidow were also nominated for Best Duo at the 2013 BBC Radio 2 Folk Awards. Their 2016 album, Shadows, was given a five-starred review in The Guardian and four of their other five albums, including their 2017 release WinterFolk Volume 1, have received four-starred reviews in the music press. The duo were also given a personal invite to play at Glastonbury festival from none other than Dorset based legendary folk singer Billy Bragg. The Bournemouth Folk Club audience are set for an evening of originality and skill that has drawn comparison with the most celebrated harmony duos, from early Simon and Garfunkel to the iconic Kate and Anna McGarrigle. It’s been said that Belinda and Heidi’s powerful, deeply moving, and soulful performances are infused with an honesty and empathy that will disarm the hardest of heart. You can also see O’Hooley & Tidow in action this summer at the Purbeck Valley Folk Festival that runs from August 16–19. Other top acts to grace the Bournemouth Folk Club this year include Ben Ottewell of Gomez on April 21 and Chris While and Julie Matthews on May 19. Tickets for the show on Saturday, March 24 are on sale from 01202 413600 or at shelleytheatre.co.uk.